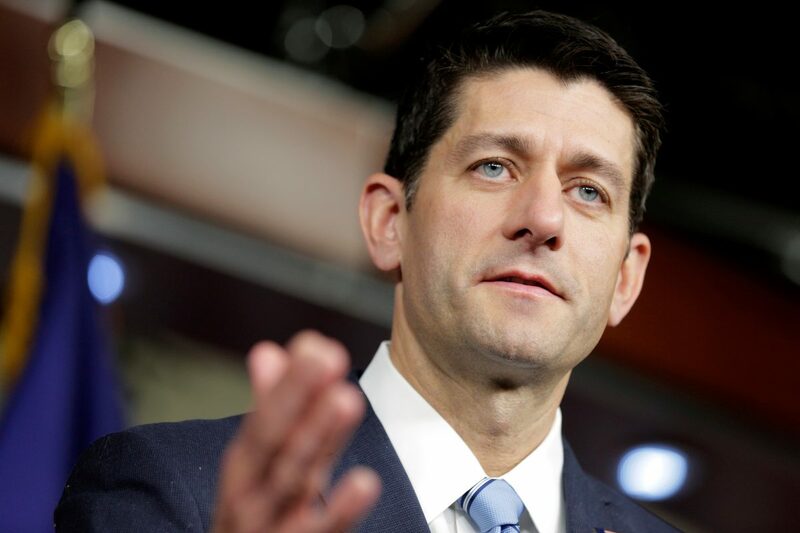 WASHINGTON — House Speaker Paul Ryan says Republican lawmakers should follow their conscience in deciding whether or not to support Donald Trump, the GOP’s presumptive nominee for president. Ryan is the highest elected Republican official and the official chairman of the Republican convention next month. He stunned the political world in May when he held back his endorsement of Trump before grudgingly offering his support earlier this month. Since then, Ryan has been critical of Trump, calling the candidate’s complaints about the impartiality of a judge of Mexican heritage a “textbook definition of a racist comment” and reiterating his opposition to Trump’s proposal to temporarily ban all foreign Muslims from entering the United States. As speaker of the House, Ryan said he feels a responsibility not to lead “some chasm in the middle of our party” that would hurt GOP chances to win the White House. His reluctance to embrace the party’s nominee wholeheartedly is remarkable for a Republican who was the GOP’s vice presidential candidate in 2012. Ryan was interviewed Thursday for Sunday’s “Meet the Press.” An excerpt was released Friday. Trump, speaking Friday at a packed convention center in The Woodlands, Texas, not far from Houston, tried to play down the rift in the party and bragged about the money he’s raised in fundraisers across the state over the last two days, including an event Friday in San Antonio. Ryan’s comments came as Rep. Fred Upton, R-Mich., a 30-year House veteran and committee chairman, said he will not endorse Trump for president. Maryland’s Republican Gov. Larry Hogan also said he will not vote for the billionaire presidential candidate. And Ohio Gov. John Kasich, a former GOP candidate for president, said he’s still not ready to endorse Trump. Ryan said he has no plans to rescind his endorsement of Trump, despite his differences with him. In the face of early opinion surveys showing him trailing Democrat Hillary Clinton, Trump insisted Friday he’s well positioned to win. Associated Press writer Jill Colvin in The Woodlands, Texas, contributed to this report.